Among the highlights of my life as a Lion in the last month have been two visits to the Palace of Westminster. 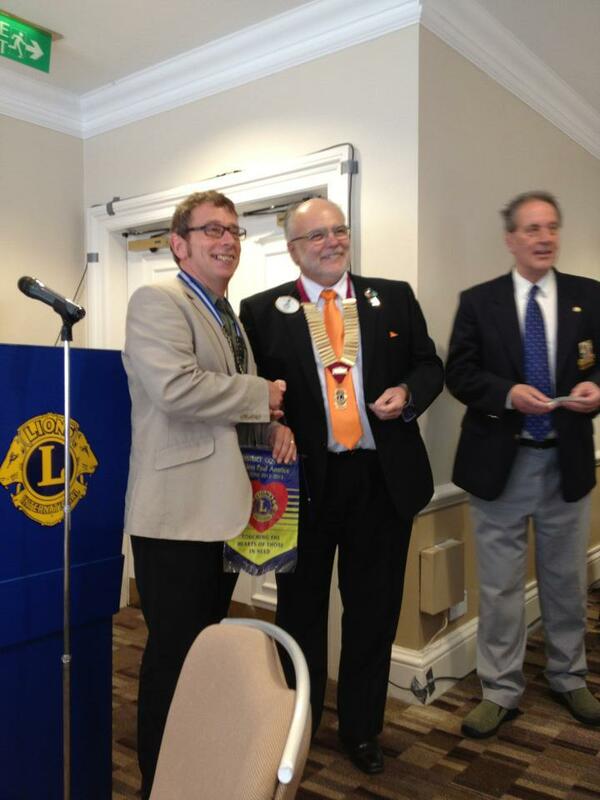 The first was to attend Lions day with the UN and the second was my first official duty representing Lions Clubs International, British Isles and Ireland, as a guest at Rotary International’s Champions of Change awards. I‘m back after too long away with a new challenge in “My Life as a Lion”. But first I’d better bring you all up to date. I know it’s been a while since my last post but the Lions’ year is in full swing not to mention work and family commitments. So what’s been happening? It’s reached the start of the Lions’ year again and the last couple of weeks have been taken up, at least in part, with club and district handovers. For my club a barbecue was held in our outgoing president Tim’s back garden (and it stayed dry) whereas for district we had a meal at the St John’s Hotel in Solihull. In just over a year, all things being equal, my fellow 1st Vice District Governors will be making our final preparations to attend Lions Clubs International’s International Convention in Hamburg. While there we will attend four days of training before being sworn in as District Governors for 2013/2014. As part of the lead up to this we attended our second training weekend at St John’s Hotel in Solihull. And so the days have flown past again and the blog has lain untouched. I keep meaning to write something but I never seem to get around to it. At last I’ve found myself with a couple of hours and the will to write something so here goes.